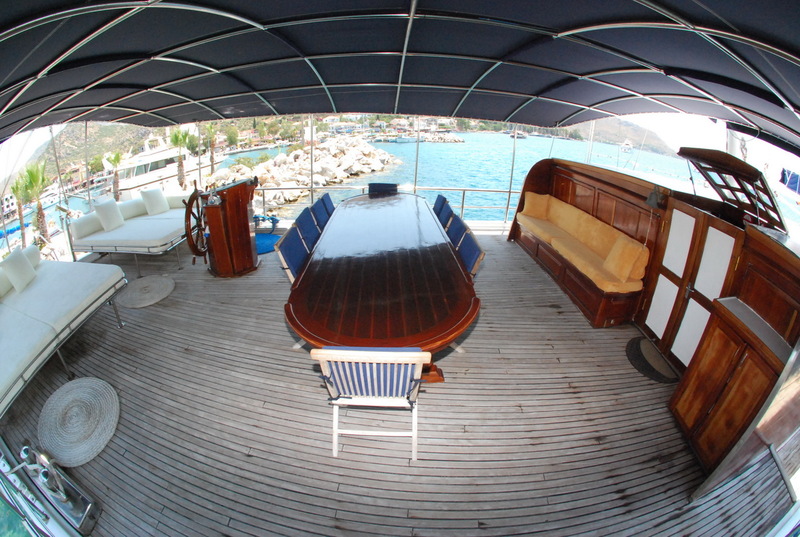 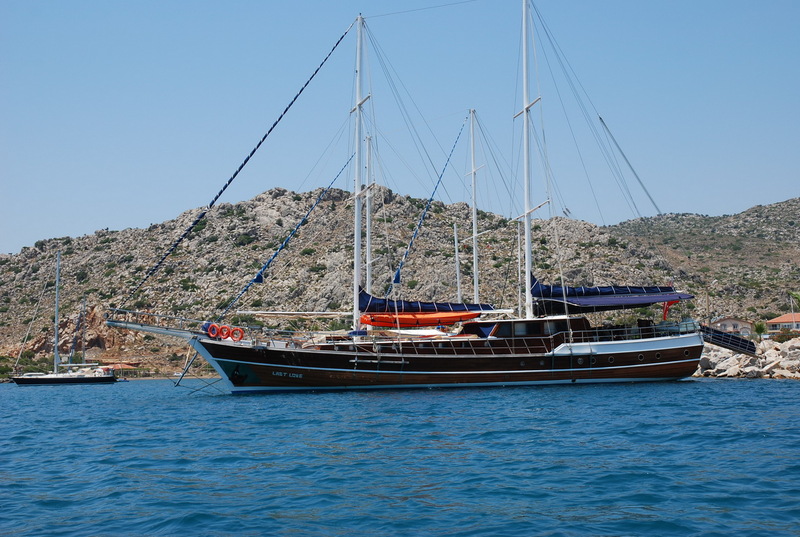 The luxury gulet ketch Last Love was built 2006 and is based in Marmaris. 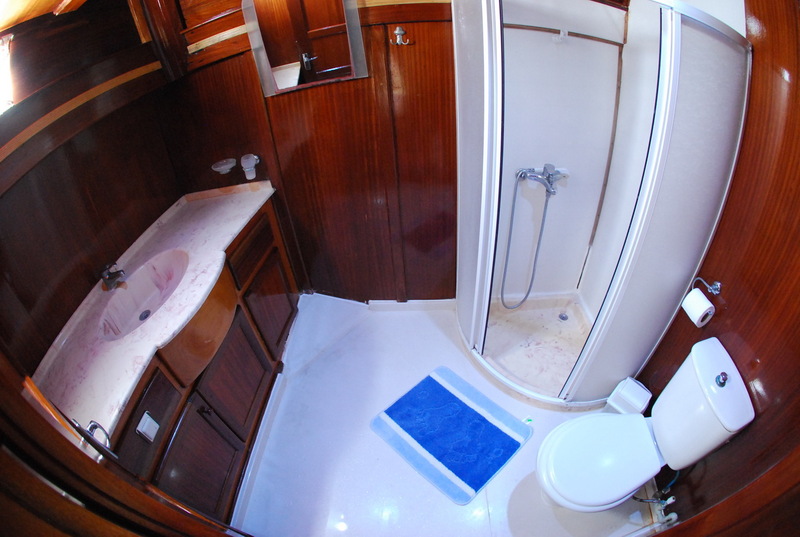 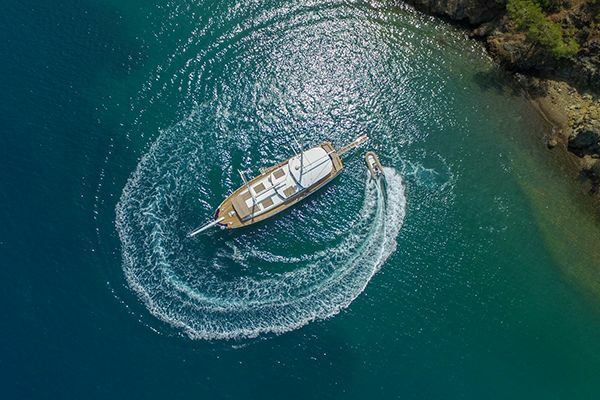 Her 30 meter long hull provides generous space on deck for moving around on board and holds six double cabins and two twin cabins each with air-conditioning available and with their own en-suite bathrooms with shower cabins. 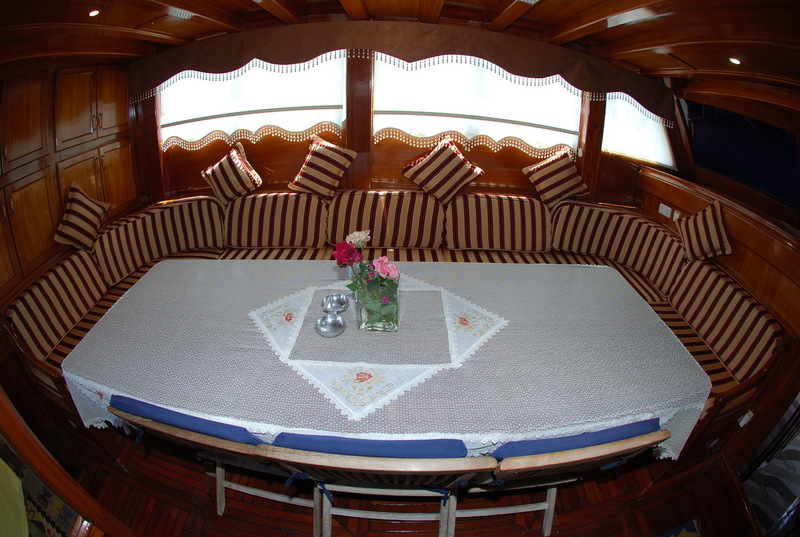 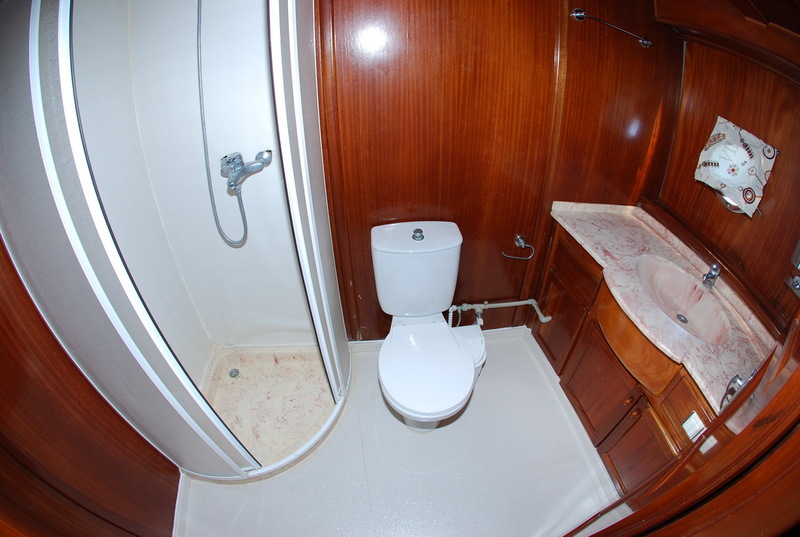 The indoor saloon on Last Love yacht has a dining area with seat bench and chairs around it suitable for snacks and dinners and to enjoy the TV/DVD, Music system and Internet access available. 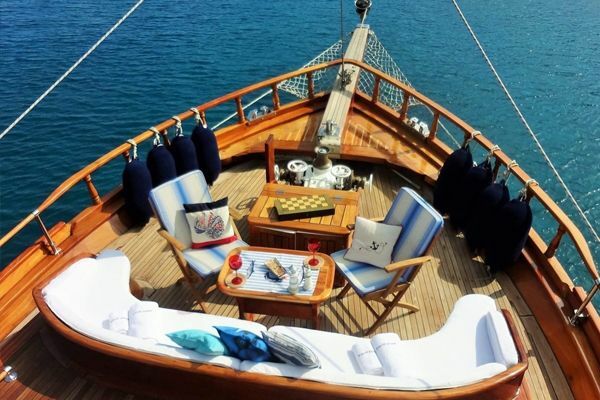 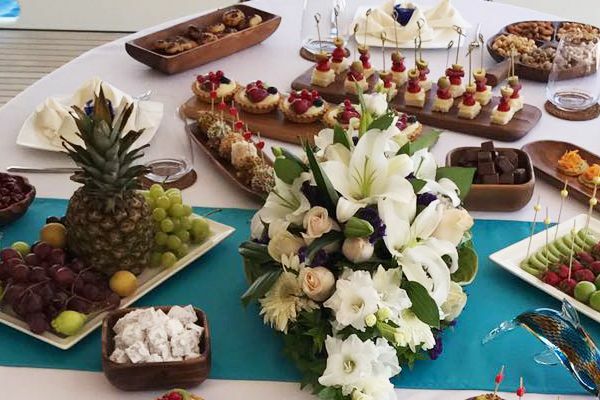 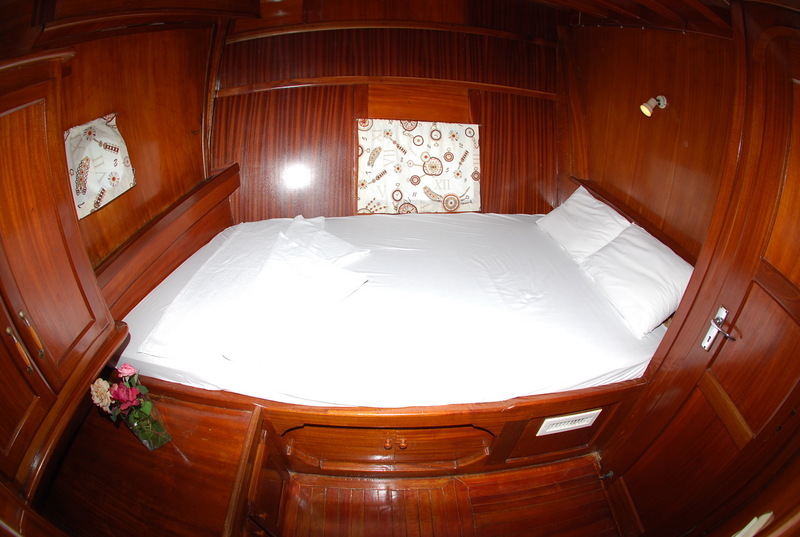 But life on a blue cruise charter happens most of the time outdoors The space on deck is the ultimate relaxation area, with one full outdoor dining table with chairs and a cushioned lazing zone across the stern which is divided in two sides to allow ease of access to the pasarella. 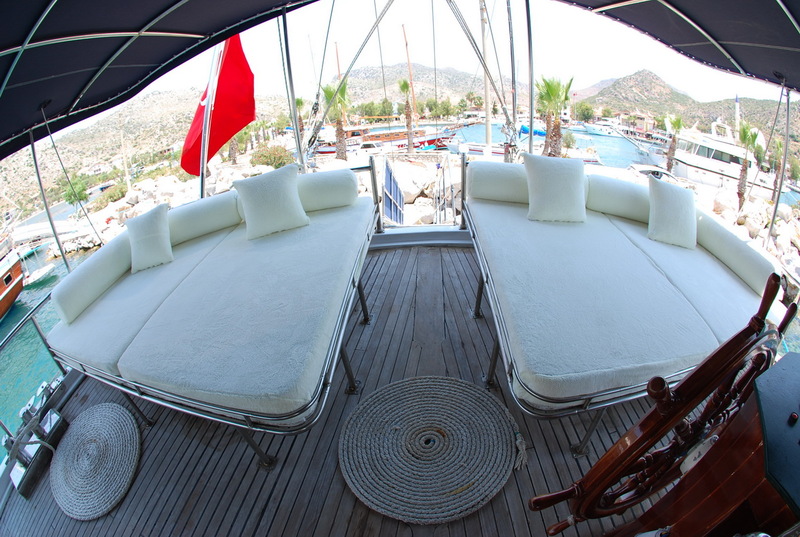 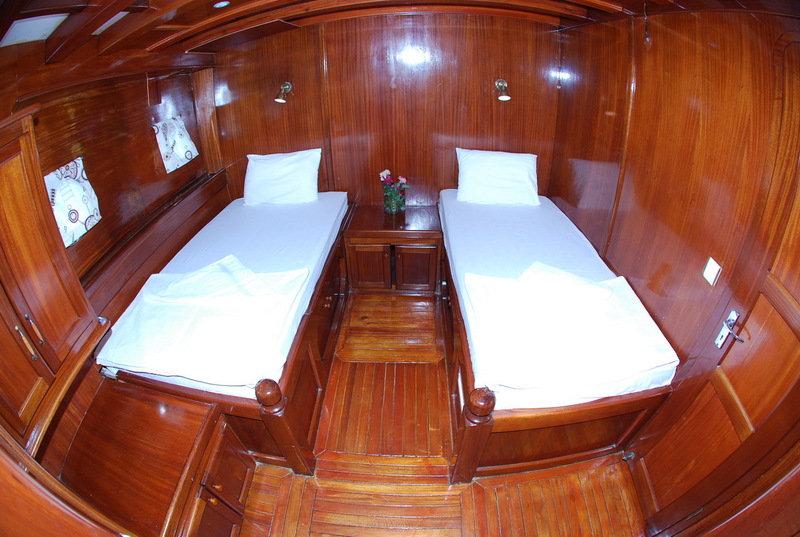 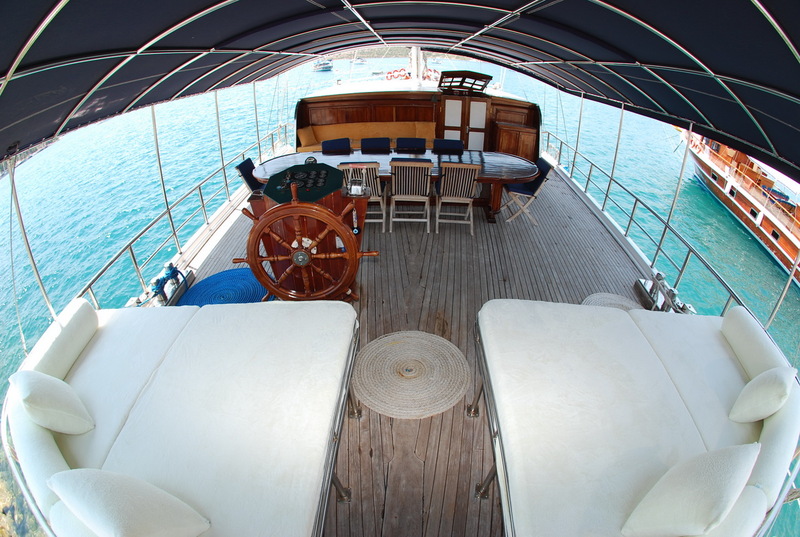 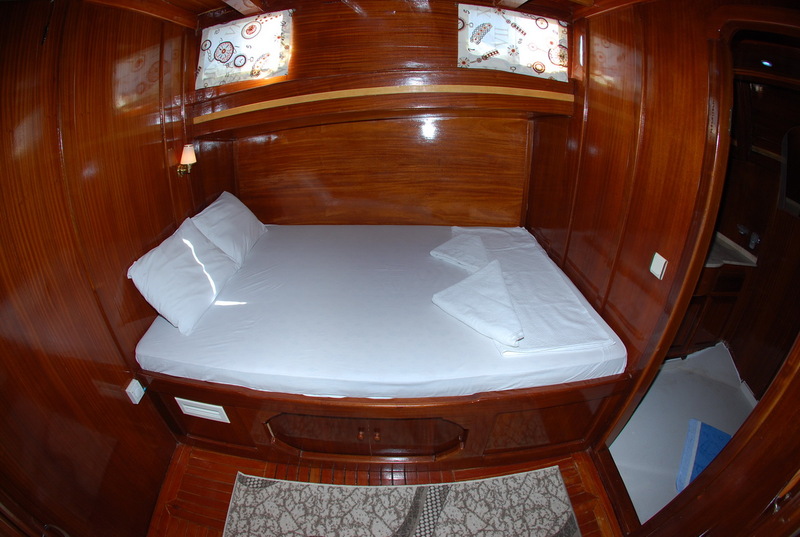 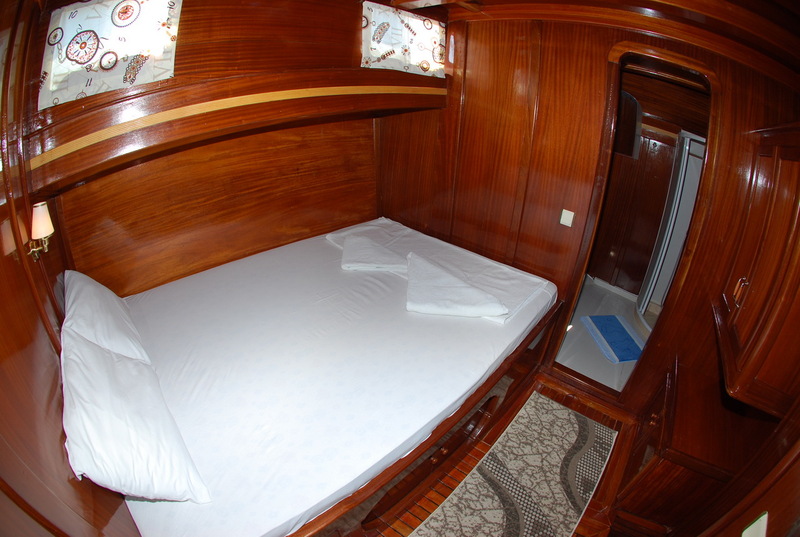 On the foredeck are sunbeds for all sixteen guests to laze on, under awning or sunshine as required. 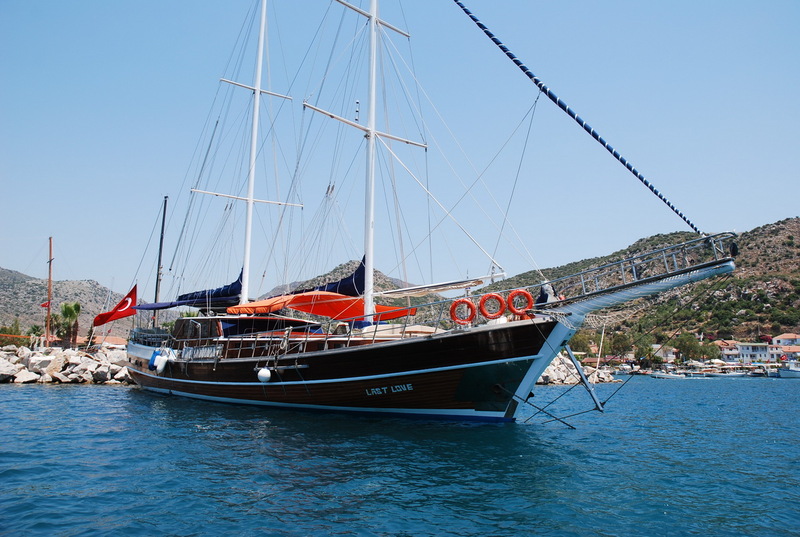 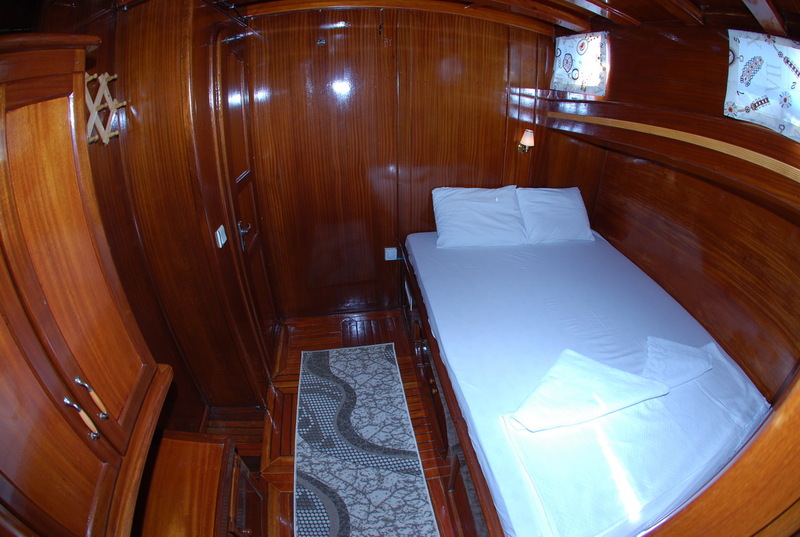 The captain and three crew on Turkish gulet Last Love , who have their own quarters, are on hand to present all the meals, drinks, service, handle the cleaning and ship care, and help with all the activities in the most friendly professional way. 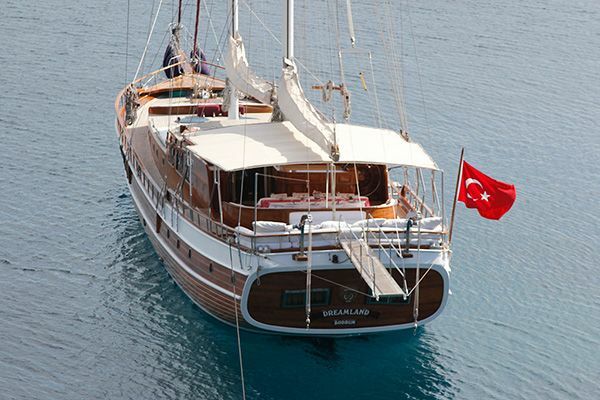 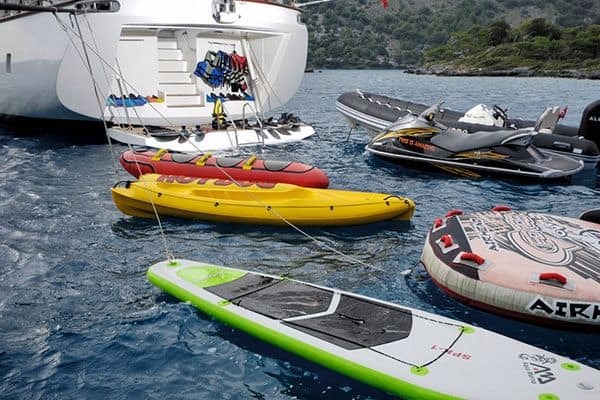 They will guide the gulet Last Love to find the best bays on the beautiful Aegean coast between Bodrum, Marmaris, Gocek and Fethiye, and the nearby Greek Islands creating the most relaxed, enjoyable holiday cruise possible.